Finding submersible pumps that can operate comfortably in high water temperatures for long periods of time is often a difficult task for water bore operators. Here are some considerations that should be taken into account when pumping in a high temperature environment. High water temperature pumping applications can be found across different industries, including irrigation and mine dewatering, and can cause problems if it makes some submersible pumps work at peak levels rather than in a comfortable operating zone. Material selection and design principles are two key factors that need to be considered when choosing a pump to use in a high temperature environment to ensure ongoing reliability. Wannon Water in regional Victoria has several deep water supply bores containing high temperature water, which, in the past, has caused increased maintenance because the submersible pumps and motors were straining to keep up in the corrosive, hot and agressive environment. Wannon Water is Victoria’s second largest regional urban water corporation by service area, and it contracted Sterling Pumps to improve the reliability of its bore operations to ensure continued supply to its customers. 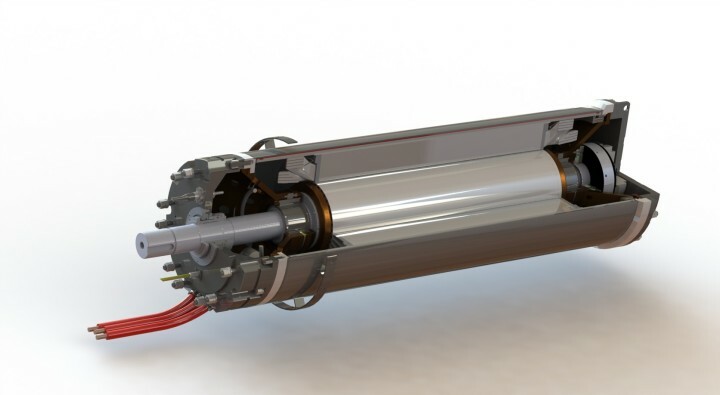 Sterling Pumps’ Managing Director Anton Merry said Wannon Water’s main aim was to improve the reliability and the service life of its submersible motors. “It all came down to the advanced motor design and materials we used. 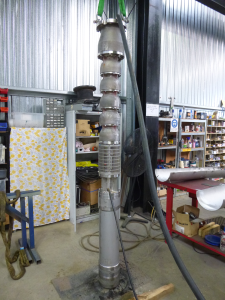 We put in a Sterling submersible motor made from stainless steel, because the combination of lamination design and high quality materials leads to a very low temperature rise which increases motor efficiencies and reduces load on insulation systems,” Mr Merry said. “These motors have unique winding insulation system that can withstand higher temperatures, and an oversized carbon graphite journal and thrust bearing which extends the motor life. Mr Merry said the submersible motors in Wannon Water’s bores have operated for approximately 20,000 hours in the field and are still running the same as they were when first installed. This is due, in part, to the rigorous testing under Sterling’s ISO 9001 quality control system, that occurred prior to installation. “The testing phase was essential because we simulated the exact operating conditions at our test base which allowed us to fine tune the design to the bores exact requirements,” Mr Merry said. Mr Merry said pump operators need to consider the different environments their pumps are installed in and choose a design that addresses their specific requirements. “A lot of pumps can’t handle pumping at high temperatures, so operators shouldn’t just choose a generic system. “For this project, we worked with Wannon Water to address their concerns and installed a pump that not only operated efficiently straight away, but that will save them money in the long-term. “We also design and manufacture all of our pumps in Australia so we’re aware of how the submersible motors operate in local environments,” Mr Merry said.